par rapport à la faible disponibilité en eau et aux risques liés au soleil. les températures peuvent dépasser les 40°C plusieurs jours de suite. L’augmentation de l’espace entre les souches permet à celles-ci de ne pas se concurrencer quand la ressource en eau est faible. 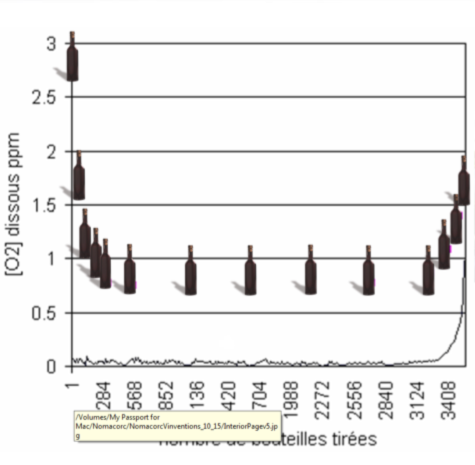 L’orientation des rangs Est/Ouest permet de limiter au maximum le rayonnement direct du soleil sur les grappes. Du côté le moins exposé au soleil, l’aération des grappes est privilégiée pour limiter les maladies. De l’autre, la vigne est guidée pour retomber légèrement et émettre des entre-cœurs faisant de l’ombre aux grappes. La faible densité permet à la vigne d’avoir la ressource en eau suffisante. Le gobelet permet aux grappes d’être vers l’intérieur, protégées du soleil par les rameaux. Enfin, ce système aéré limite le développement des maladies cryptogamique type oïdium. 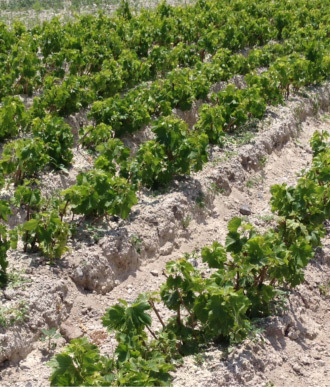 If a grape variety or clone is better suited to the one in place, this method makes it possible to establish the plot without having to uproot. 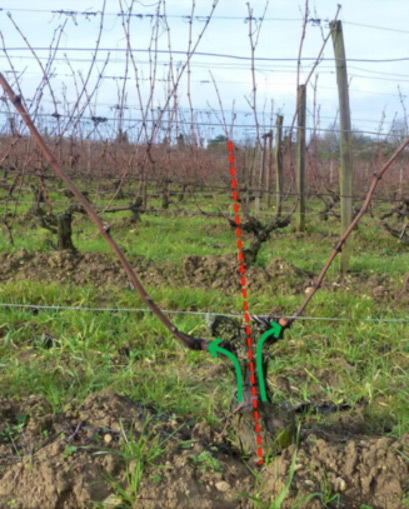 In this way, the winegrower takes advantage of established vines roots already in position. 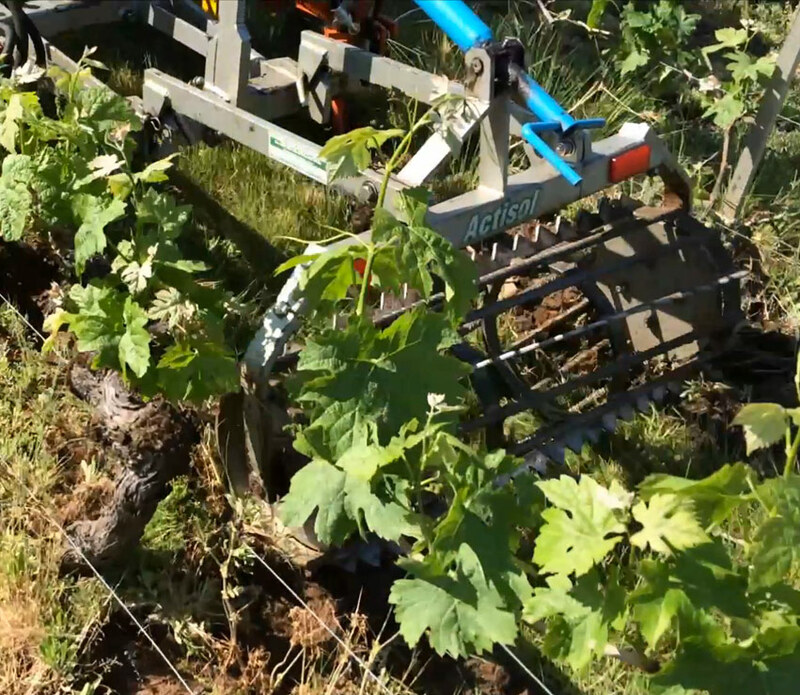 Bench grafting has made it possible to industrialise plant production, but its traumatic impact on the plant and its standardisation presents some limitations: the graft heals poorly, regrowth is unsatisfactory in the nursery and sometimes there can be incompatibility with the stock/graft, which does not happen when grafting is done on site in the vineyard. In addition, grafting on site makes it possible to take advantage of the strength of roots already established in the soil. 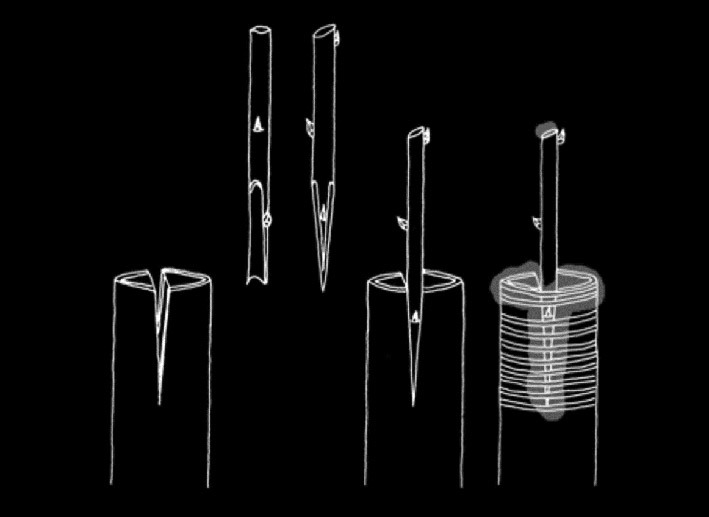 A vine stock can be lowered, below or above the grafting point, whatever the grape variety, whatever its age and in a consistent way. 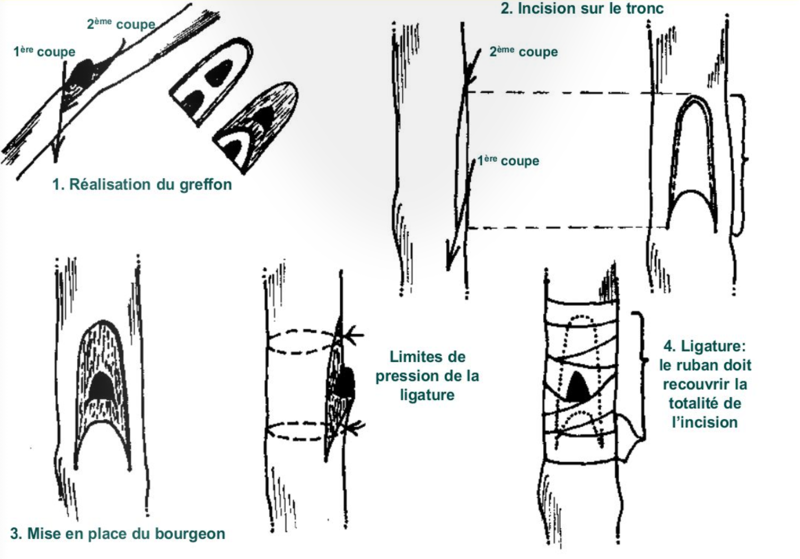 The main reasons for doing this are the rejuvenation of the vine stock by grafting above the former grafting point or bringing back to life a weak or seemingly dead vine stock by grafting directly onto the stock, below the former grafting point. 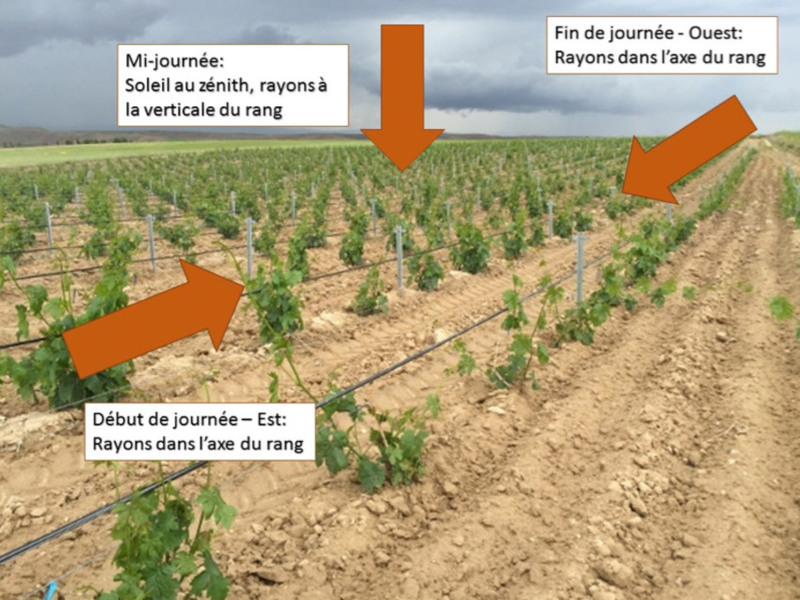 This method enables a winegrower to establish a massal selection in plot already planted by selecting one or several high quality vine stocks of the vineyard. 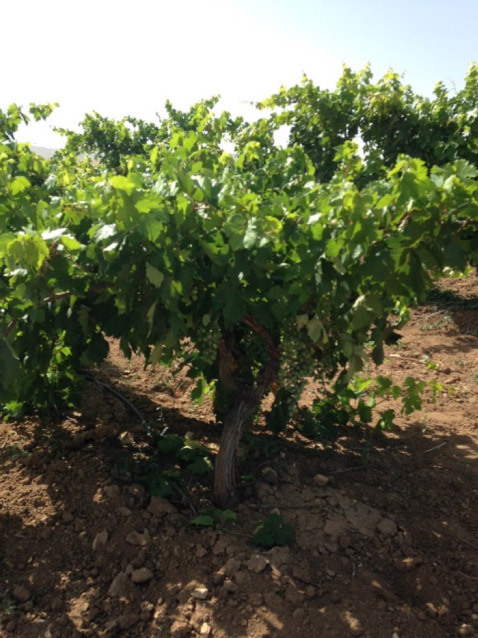 In this way a diversity of different and complementary individual vines are obtained. 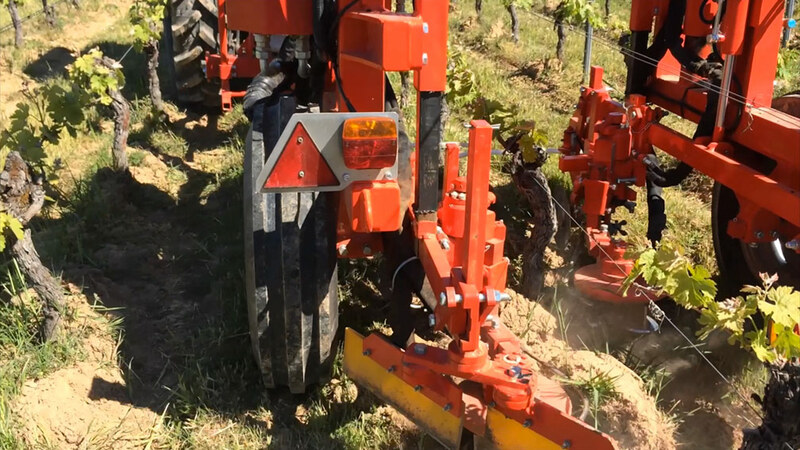 Caring for the soil between vine stocks is specifically the small area of land situated beneath the row of vines. to control competition between roots found in the grass-covered area next to the row of vines. to interact on air circulation and hygrometry around buds or grape bunches, depending on the season. enables plants to establish themselves thanks to their roots. provides trace-elements and water, which are both vital for the plant’s physiological functions (development, growth and reproduction). regulates hygrometry and temperature via its buffer capacity, depending on the soil type. The final and decisive phase for feeding a plant involves fungi named Mycorrhiza that transform organic elements into soluble mineral elements in water which can then be absorbed by the root. Any action taken by humans leads to consequences upon this ecosystem. Every year, active substances contained in chemical weed killers are withdrawn from sale (due to their carcinogenic risk). Some of these are not broken down and their residues are found in the soil or water, where they continue to accumulate. At present, the fate of glyphosate is to be decided by the European Commission. 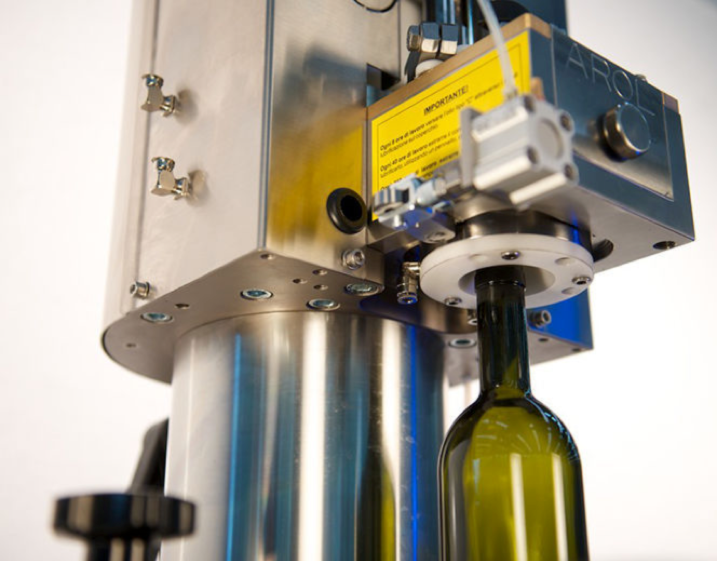 Bottling and corking are the last key technical procedures controlled by the winegrower. The aim is to conserve the flawlessness of his wine during this procedure, as well as ensure consistent quality for all the bottles. accumulation tables are now made longer to guarantee the dilation of the cork before laying the bottles down. Oxygen is essential in wine-making, but an excessive and poorly controlled input of oxygen during this procedure could lead to making the wine develop far too early. 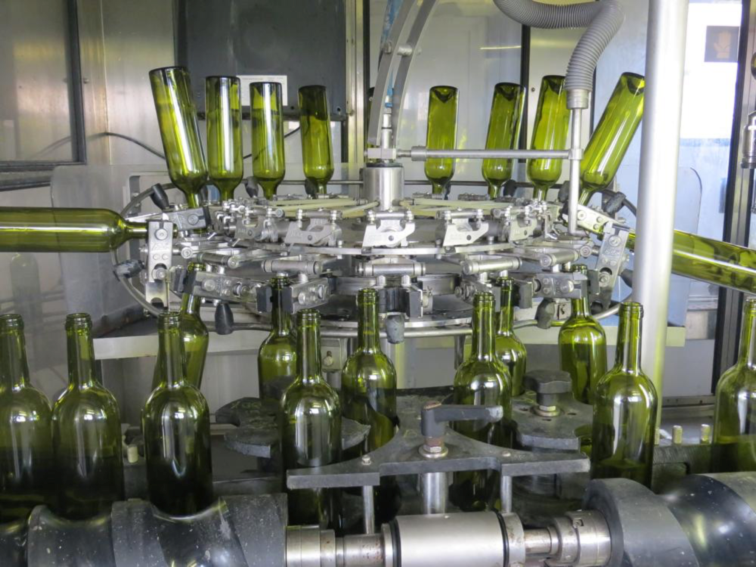 There are now various systems to blow inert gas (nitrogen, argon,…) into the bottle before or after bottling. 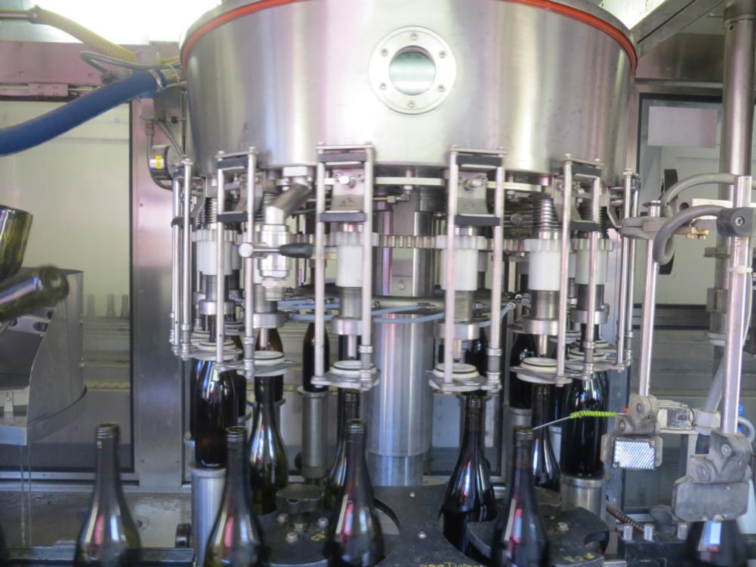 Even so, bottles at the beginning and end of the bottling line are always more exposed to the risk of oxygen entering. Cork quality is the other decisive factor in conserving a wine’s quality and the consistency of its development. Cork is historically the traditional natural corking product. It possesses indisputable elasticity and permeability to oxygen, which enable a wine to develop gradually. However, once infected, cork can produce some unpleasant smells and tastes (known as a corky taste). This problem can be attributed to a compound called TCA (Trichloroanisole). In high concentration, this defect can be picked up by any wine taster: it’s a musty, earthy smell. This defect is trickier to perceive when concentration of TCA is barely recognisable, but wine quality is diminished, nevertheless: aromas are dull and the wine is drier on the palate. These technical measures are of course worthless unless perfect quality control to ensure total hygiene is implemented before and during bottling. 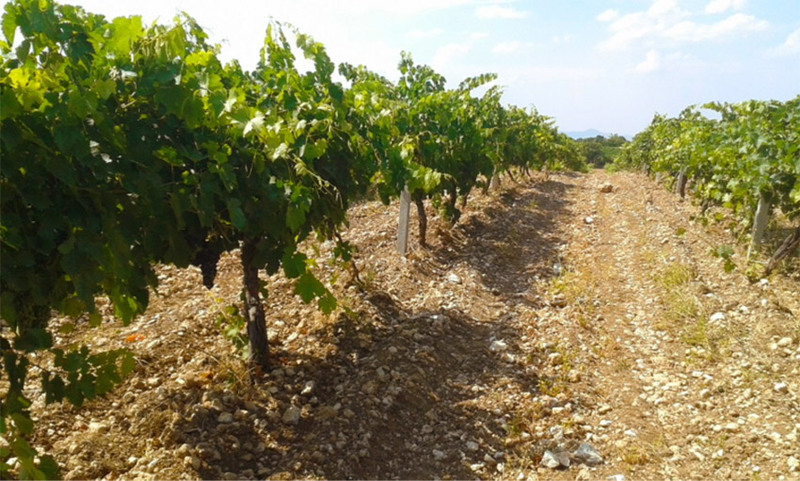 The wine Estate Argyros wanted to develop and establish the island’s indigenous and emblematic grape varieties. Weather conditions are extreme on Santorini; it is a semi-arid island, rain falls mainly in winter; salt-loaded wind blows hard all year long and strong sunshine beats down over a long period. There is extremely poor volcanic soil: a layer of volcanic ash, sands, pumice stone, cinders on a sub-soil comprised of volcanic tuff. Organic matter is scarce. A considerable risk of seismic activity exists here and reserves of freshwater are rare and costly. 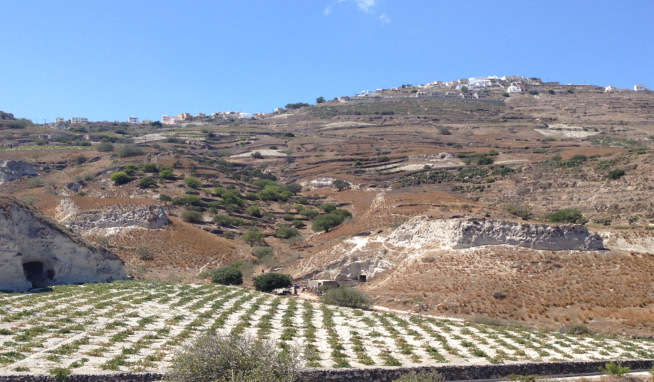 Indigenous grape varieties such as Assyrtiko, an emblematic variety of this island, enables growers to produce fine dry, lively white wines or semi-sweet whites using the raisining technique. 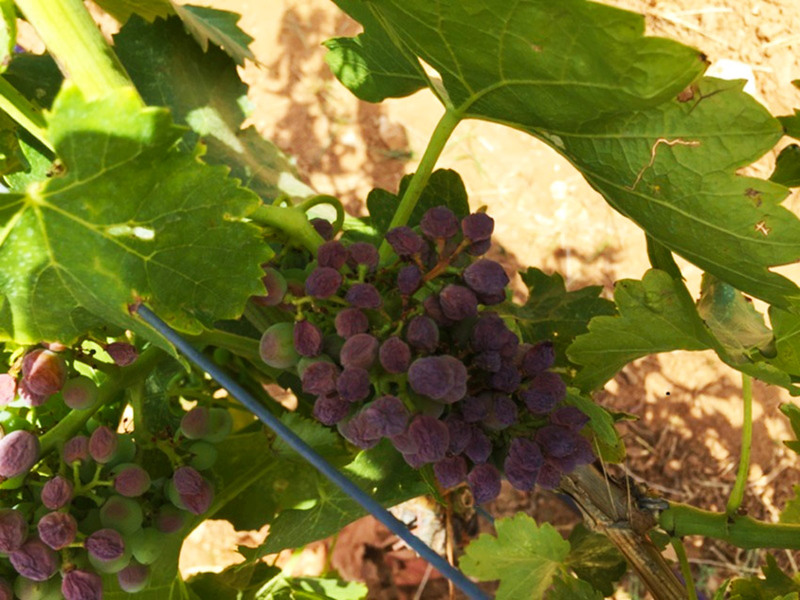 There is also Aidani, a white grape and Mavrotragano, a black grape. An unusual pruning method in the shape of basket laid on the ground is used to protect the grapes from weather extremes. 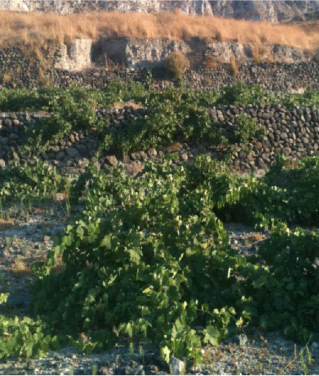 Phylloxera has never attacked this island and explains the fact that vines are planted directly without the need for grafting. Winegrowing genetic heritage is abundant and still largely-protected. 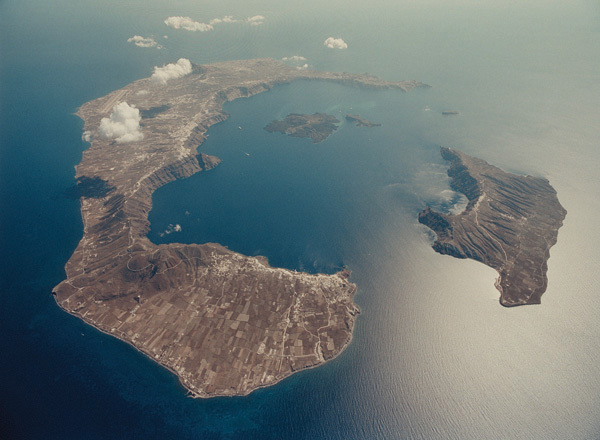 The harshness of the climate, linked to the small size of the island and its vineyards. Despite growing real-estate pressure to accommodate tourists, a handful of estate owners are working together to conserve this exceptional winegrowing heritage. 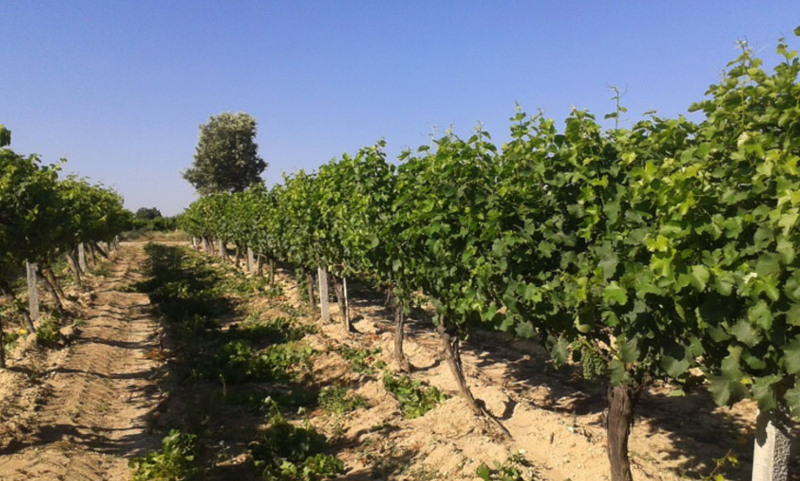 Select and mark old, healthy vines whose growth performance is satisfactory and which produce good grapes. Prepare an adapted area near the vineyard’s production buildings to monitor the young vines and water them occasionally. Prepare the nursery with structuration, a rational amount of soil-enriching agent before planting vines in the soil. 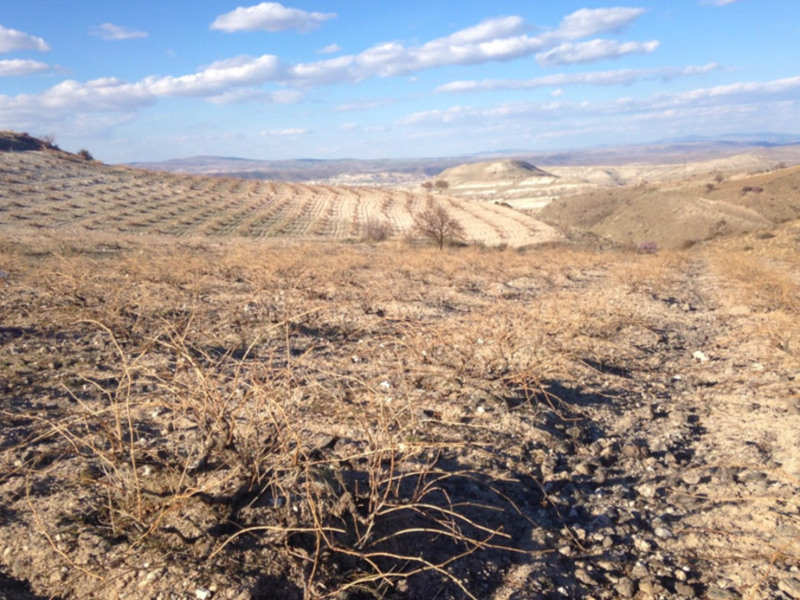 Change the piece of land used for the vine nursery every year, so as to regenerate the soil. With the basket-style pruning method, branches lay on the ground. To form new vines, woods are selected in autumn, once the leaves have fallen. Each wooden branch must measure at least 50cm. 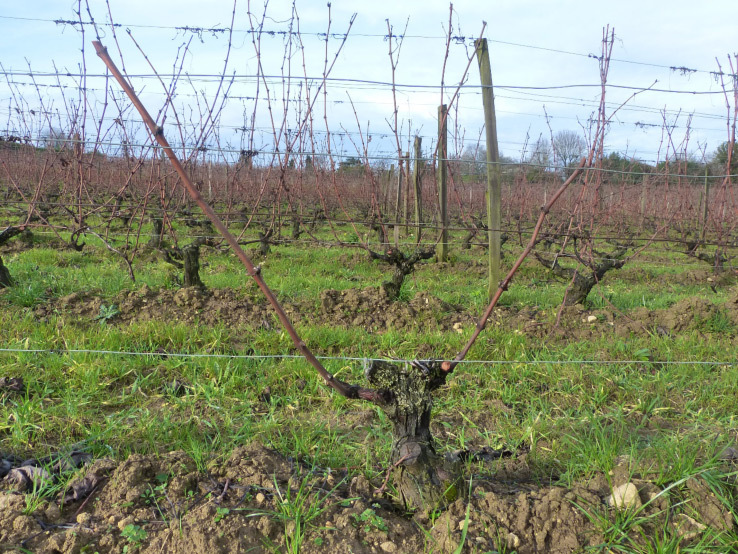 This preliminary pruning stage makes it possible to hoe more easily soils near older vines in grape-producing plots. In winter, after a distinct spell of cold weather, the nursery is dismantled. 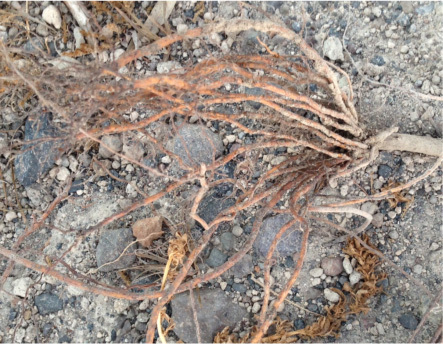 The root system observed for young vines is impressive: numerous main roots, width of diameter and length are a guarantee of good growth and exceptional vitality. 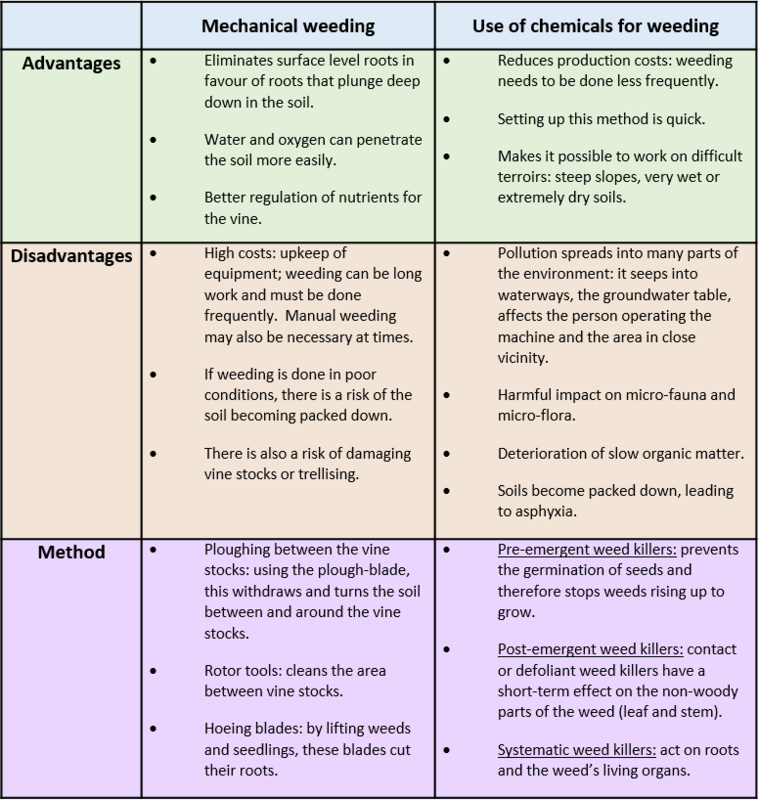 As part of our consultancy services, guidance for vine pruning covering theoretical aspects as well as practical work in the vineyard is fundamental and requires a great deal of energy. To avoid vine stocks aging prematurely, production of dead wood must be restricted. Dead wood often represents far too large a proportion of a vine, limiting sap circulation and serving as a base for a multitude of saprophyte fungi which can release toxins which are deadly for the vine (this is the case of the vine diseases Esca and black dead arm). 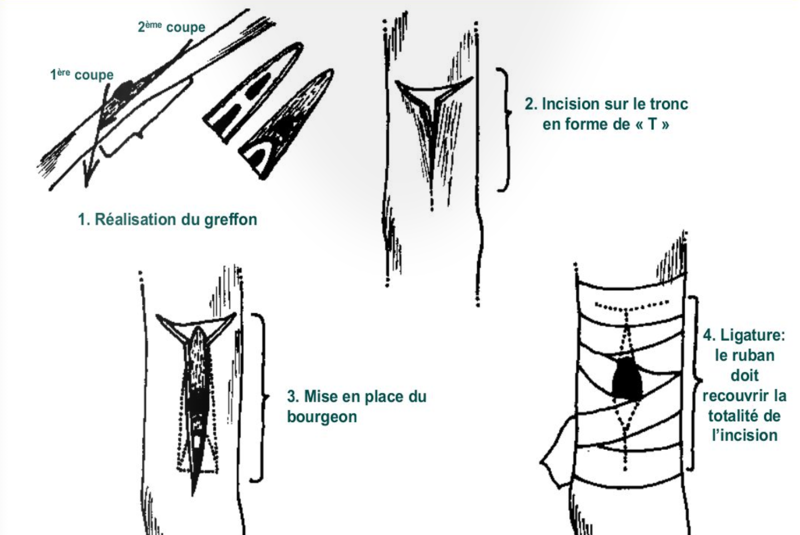 To do this, balance between vine stocks must be carefully ensured; mutilating wounds should be avoided by taking into account dessication cones; sap flows established should be preserved. Circulation of sap occurs mostly in the first few millimetres in the trunk’s rim. It is necessary to make sure that it circulates all around the vine stock. Removal of one side leads to the death of this part right down to the trunk. This produces dead wood and restricts by at least half the capacity of exchange between the roots and leaves. 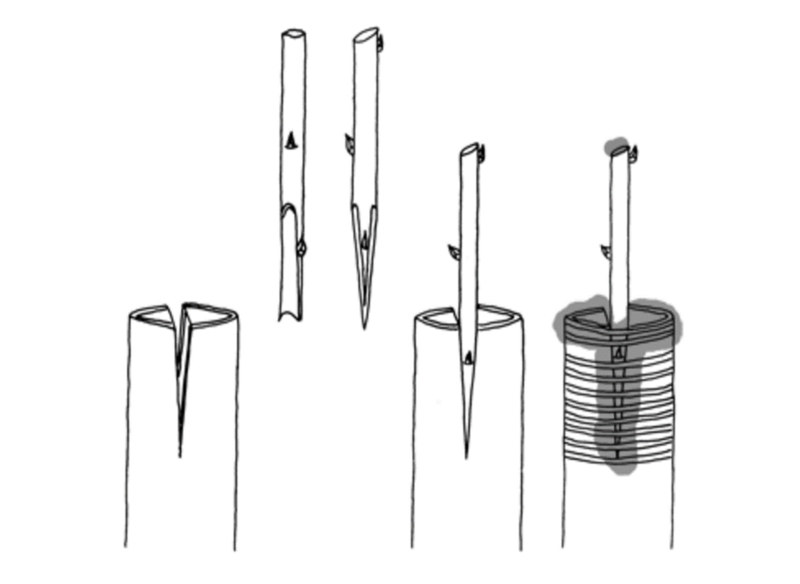 Dessication cones must be taken into account so that these do not penetrate the vine stock. To ensure this, avoid clear-cut, penetrating pruning cuts and on woods of more than one year old, between the main structure and the cut, leave stumps of a distance equivalent to the diameter of the wood pruned. Once dry, this stump can be removed. 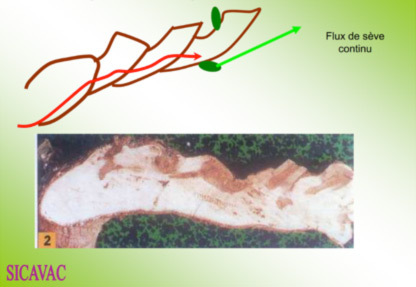 Development of mutilating wounds over time; appearance of dead wood slowing down sap circulation, leading to a decrease in the vine stock’s vigour and production, and even death in the end. Observing carefully and ensuring direct circulation of sap is essential. Priority should be given to pruning cuts on the upper side of the branch, in order to leave free circulation on the underside.